As you can see from the pictures, time won the battle, and I decided to give it some new life. 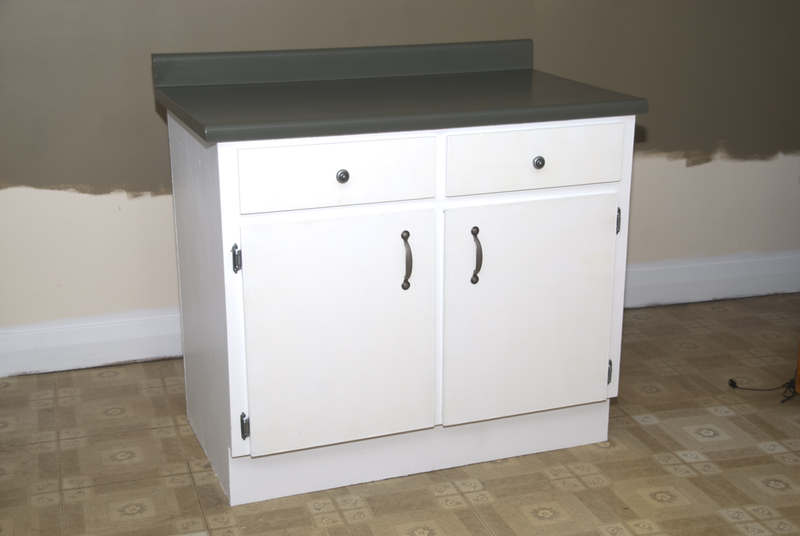 Painted countertop, new hinges, hardware…..new cabinet! So pretty!! Did you need a special paint for the countertop? It really is worth the time. My bathroom cabinets are next….actually my entire bathroom is next. It is the worst room in the house, so I guess we are saving the best for last! 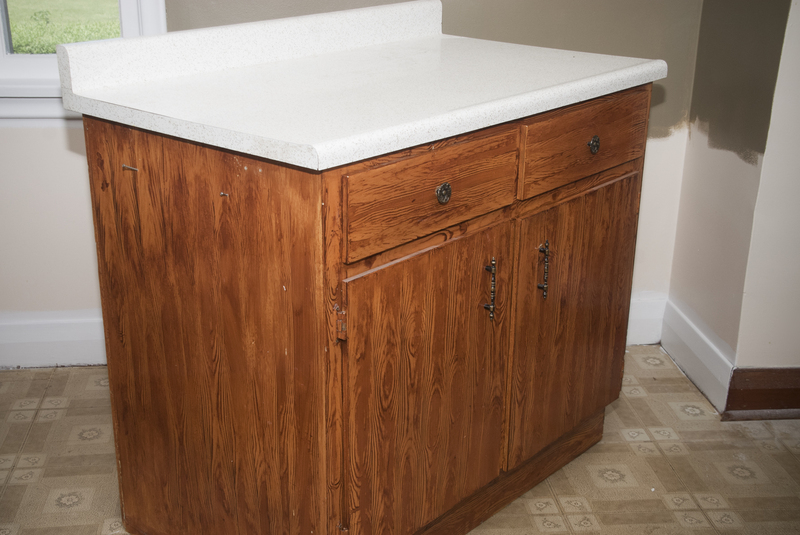 Did you take any before and after pictures of your bathroom cabinets? I should have but no, I wasn’t blogging yet. 🙂 But they match my other bathroom cabinets so theoretically I could do a before and after. This is so cool! You are making such good progress on the house. Can’t wait to see more.